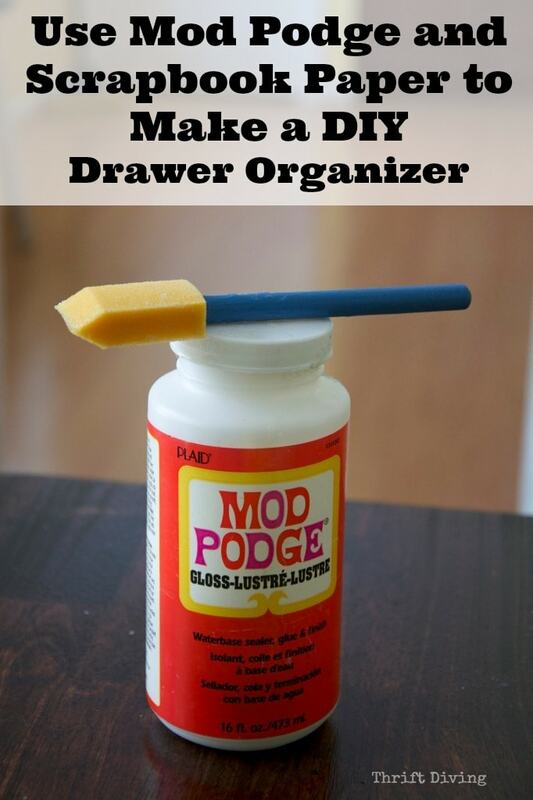 You are here: Home / Crafts / Get Organized: Make Your Own DIY Drawer Organizer! I’m always trying to focus on “SIMPLICITY”: making things all-around easier, automated, and organized. 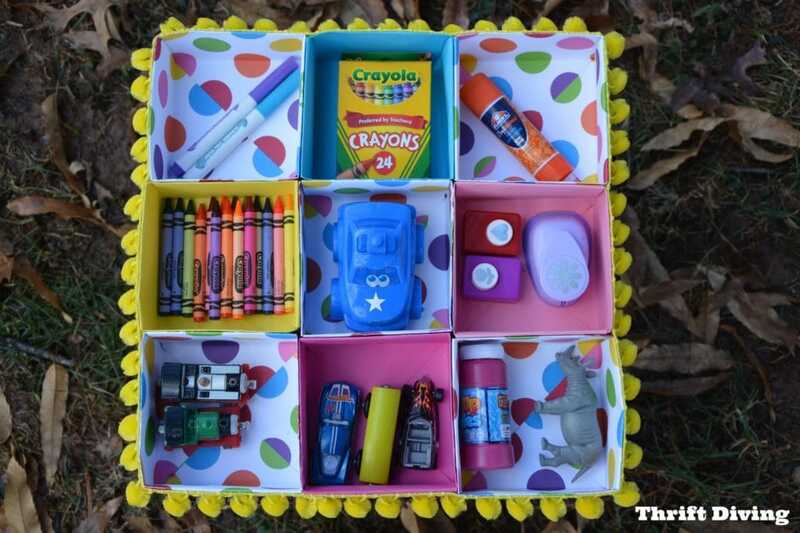 So I’m super excited to show you this cute, easy project that will help anyone be a little more organized! It’s super easy, fun, and anyone can do it! 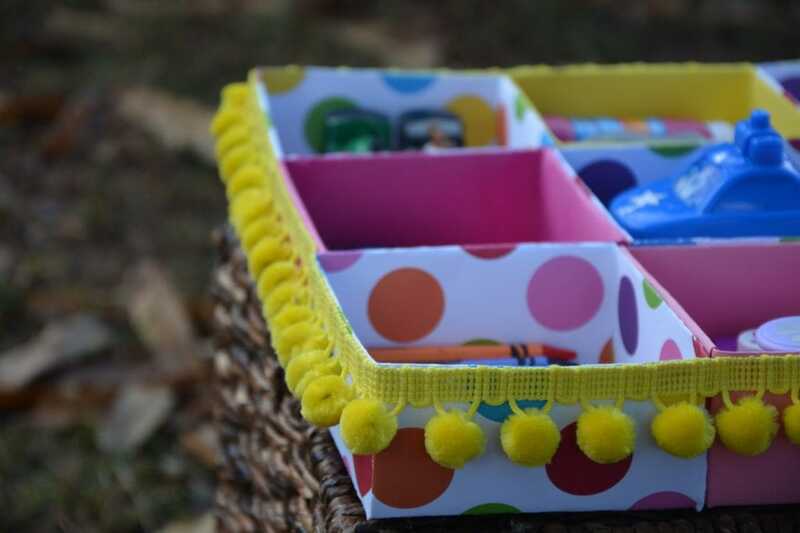 Watch How I Make These DIY Drawer Organizers! 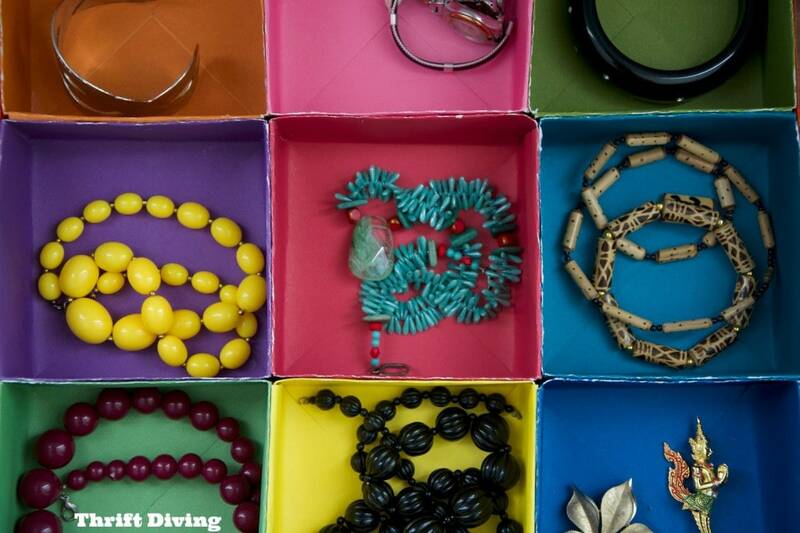 So remember those gift boxes I made from scrapbook paper recently? 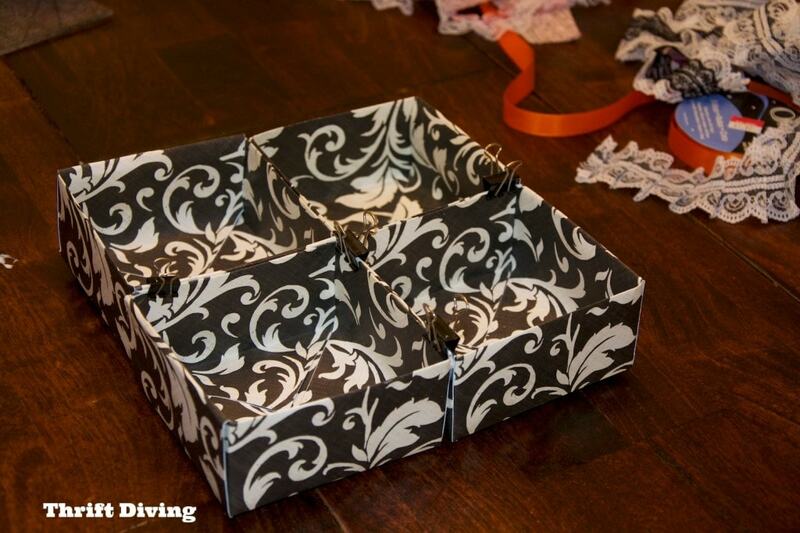 I decided that the tops of the gift boxes would make awesome DIY drawer organizers when glued together! I’m terrible with keeping drawers clean and tidy. 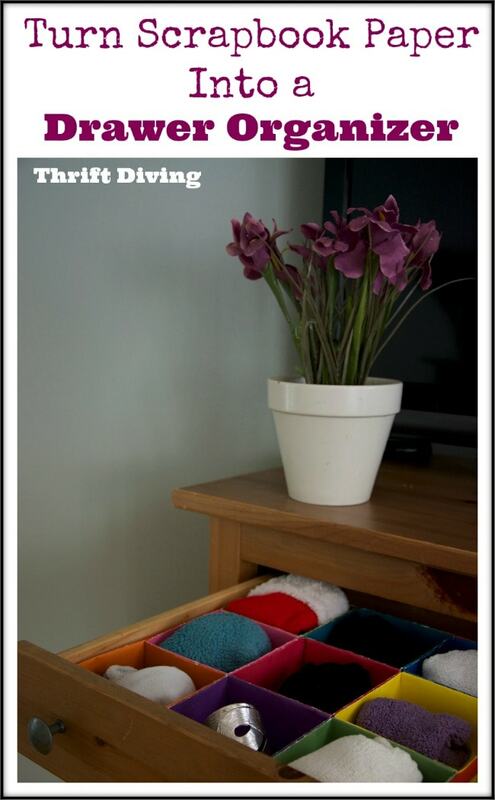 I wanted a cheap, easy way to get organized without spending a lot of money. 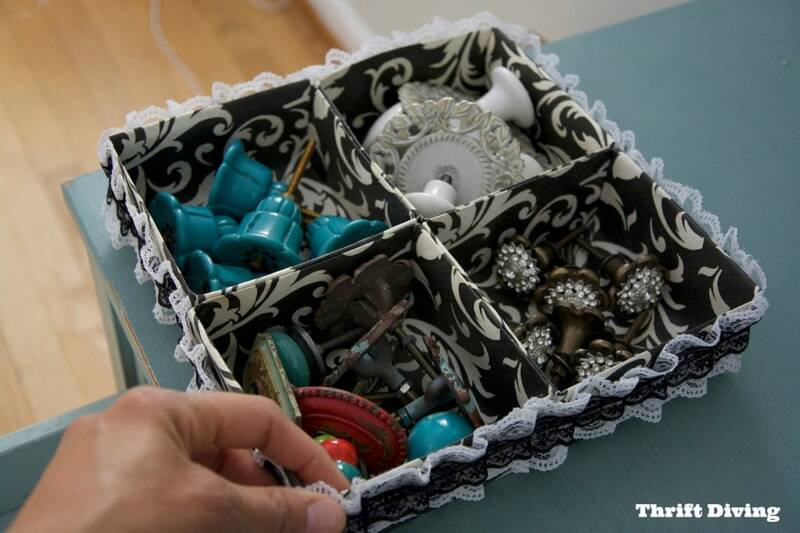 You can use this DIY drawer organizer for jewelry…..
*Ruler (I prefer the longer grid quilting ruler ). TIME: 30 minutes to 1 hour. If you buy individual sheets, they’re usually anywhere from $0.59 – $1.00. Buy them on sale and you can get them cheaper than that. 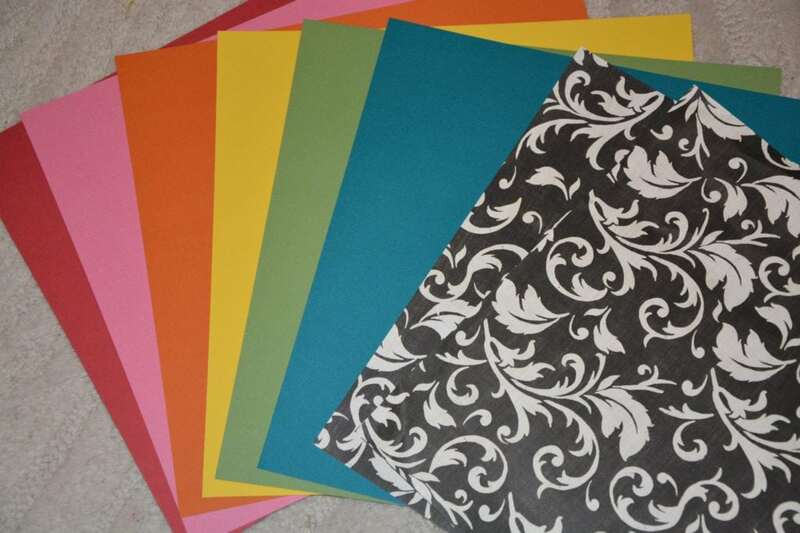 Even better, buy a thick pack of scrapbook paper for about $10 – $15. Super cheap! This is my first time using cardstock , and although I love its thickness, I’m not sure I like the white pilling you get when you bend the paper. But the colors are pretty and crisp, though! 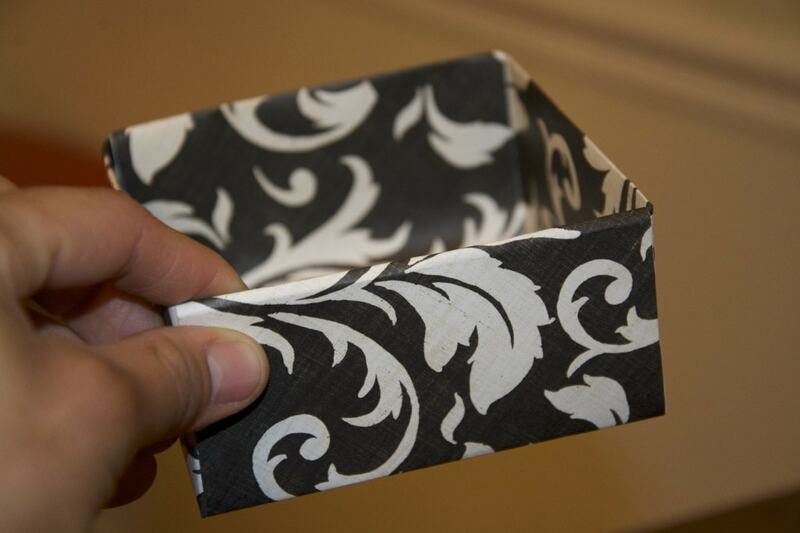 I won’t go through the whole tutorial in this post, but read my previous instructions on how to make a gift box from scrapbook paper. 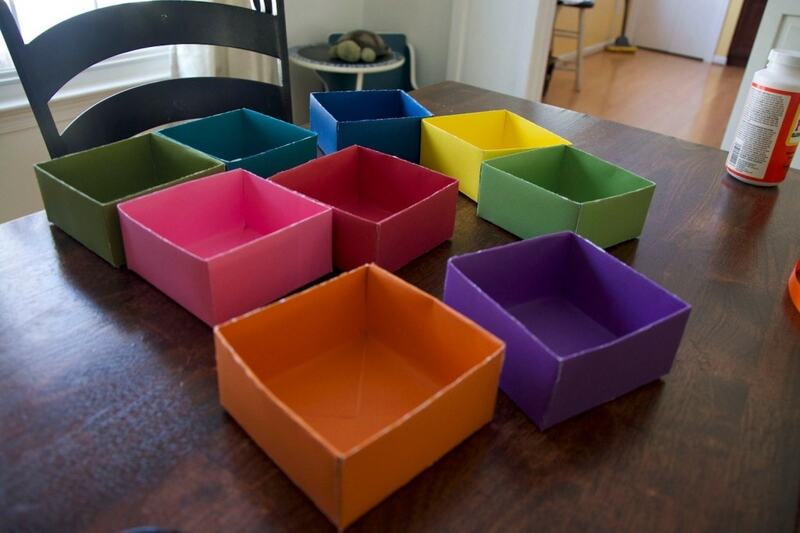 Then, only make the top of the box with your 12″ x 12″ paper. 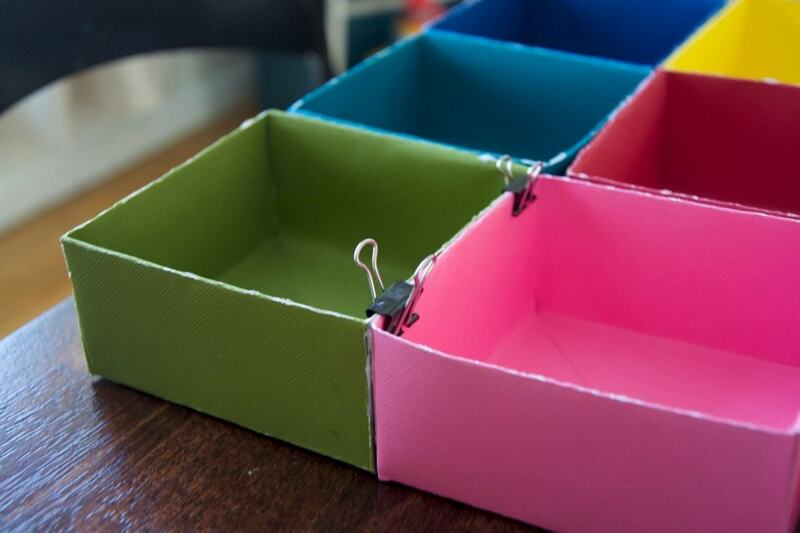 Depending on how big you want your modular DIY drawer organizer to be, make as many tops that you’ll need, depending on the size of your drawer. 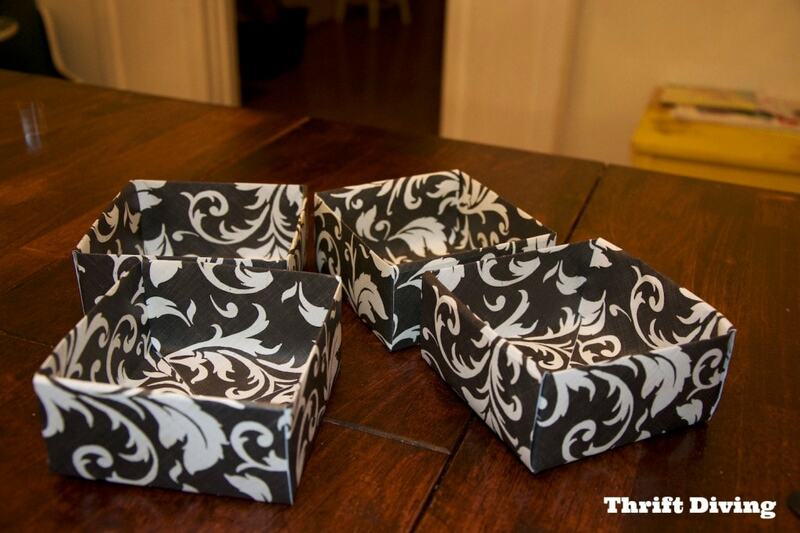 For this black & white box, I made only 4. For the colorful one, I made 9. 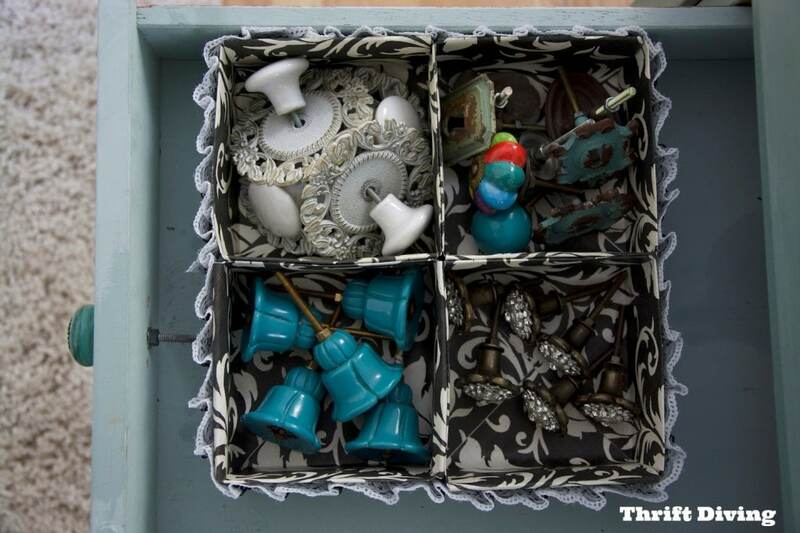 First, I arranged my boxes how I wanted to Mod Podge (a.k.a. “glue”) them, making sure they fit well together (they don’t have to fit perfectly). I also made sure I planned which colors I wanted next to each other, depending on what complimented each other. 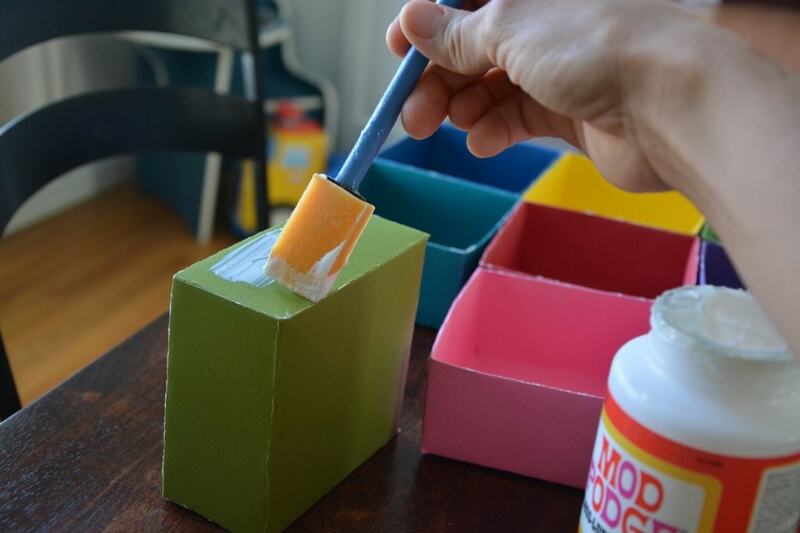 Then, I slathered on a healthy amount of Mod Podge, making sure it didn’t drip or seep through the seams. Next, I bounded the sides together with binder clips (you can also use clothes pins) while the Mod Podge dried (it dries quickly). (NOTE: I love Matte instead of Glossy Mod Podge because Matte is less noticeable if you happen to smear it some place by accident. But this is all I had on hand). 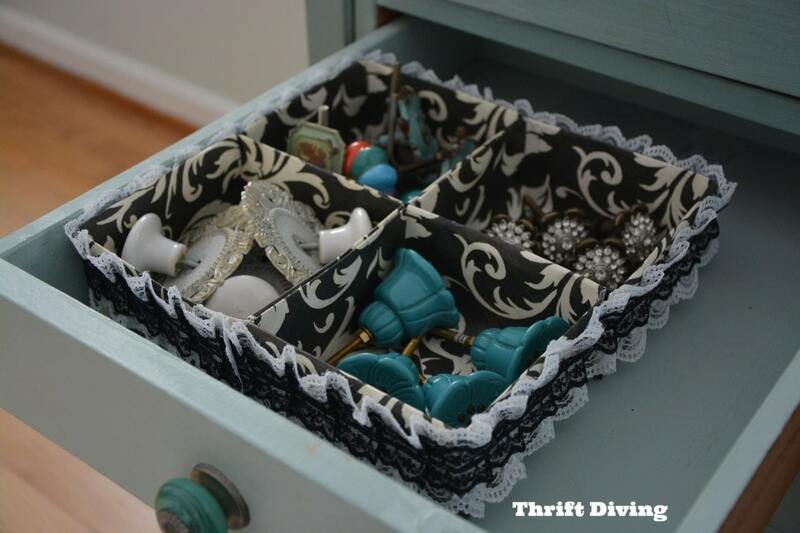 I did the same process for the black and white DIY drawer organizer. STEP 4: Trim It, Baby! I love this part! 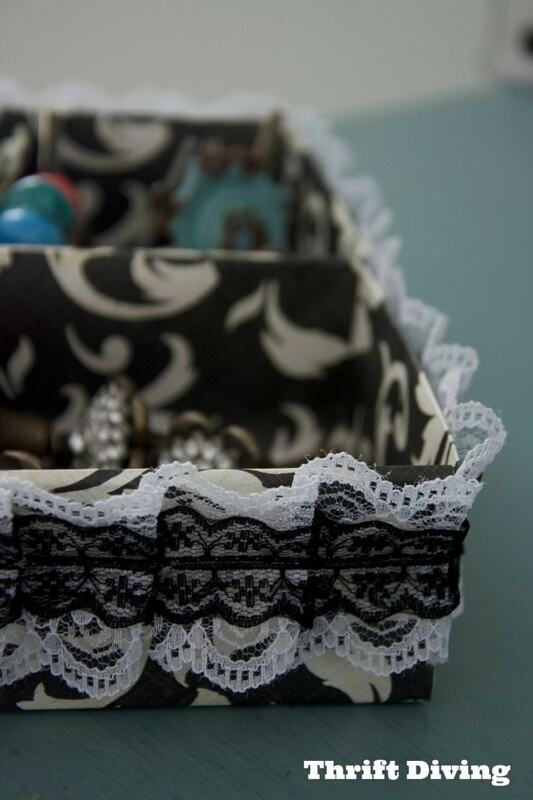 I happened to have this old ribbon and lacy trim lying around from a long time ago that I never used. It came in handy for this little project! 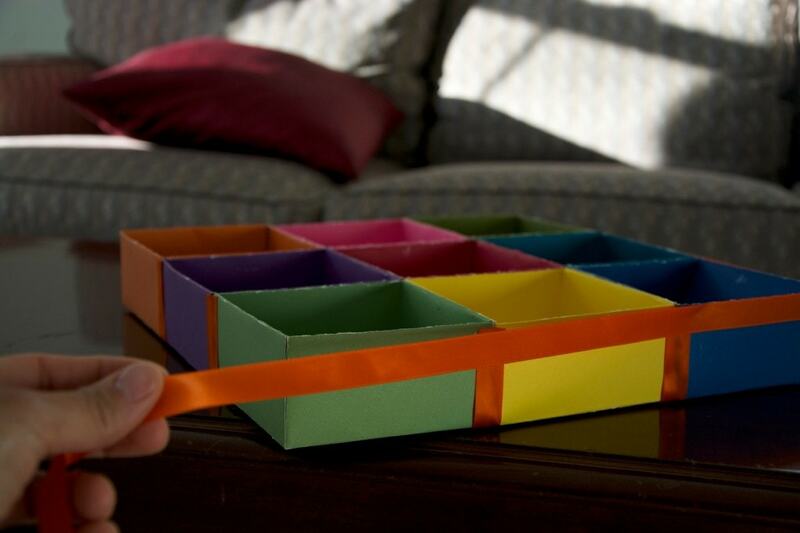 The trim helps to hide the side seams, and takes it from “this-is-just-paper-glued-together” to a more “wow-this-is-a-decorative-drawer-organizer!” I used the glue gun to apply it. 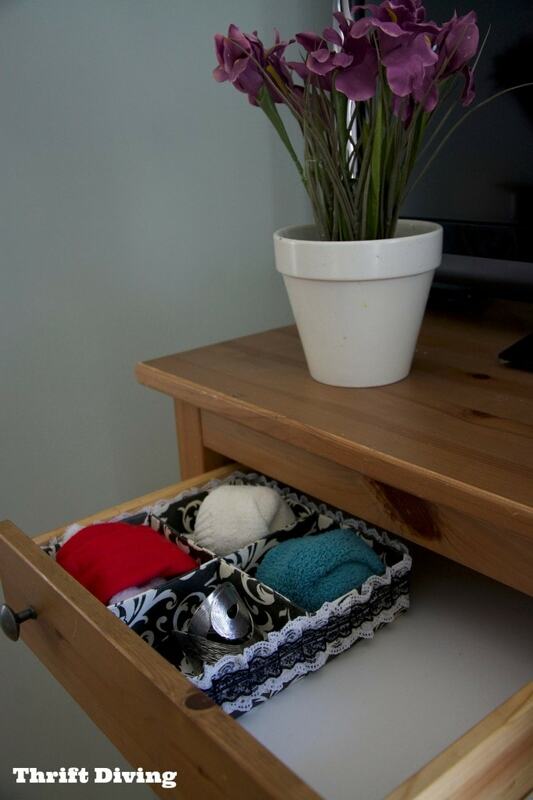 You can use this DIY drawer organizer in your desk with office supplies, in your crafting room with crafting supplies, in your underwear drawer for socks and undies, and even for your jewelry! The possibilities are truly endless. I am thinking of making more for my garage workshop (if I ever get it done <<<insert groan here>>>) for my nails, screws, etc. 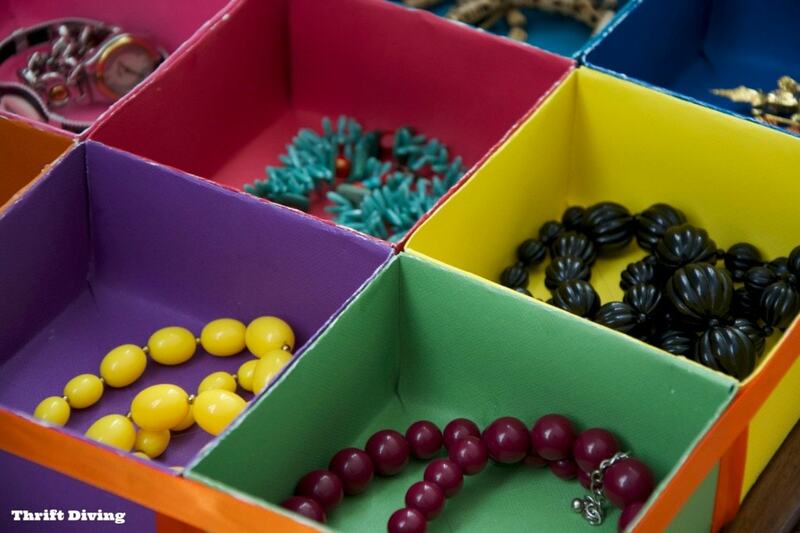 These are really so pretty that you could leave them out on your dresser or desk, too. CLICK HERE TO PIN THIS PROJECT! 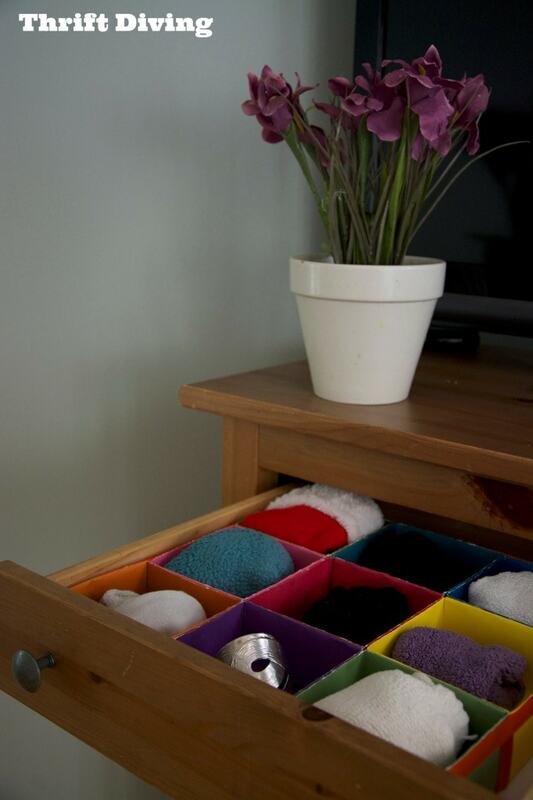 So where in your household are you dying to get more organized, and with what would you fill this DIY drawer organizer? I am so glad I ran across this! Not only do I have a ton of scrapbook paper that needs a project to go with it, I also am in serious need of some affordable organization for smaller items. I am going to get to work on making a few of these right away! So glad you found my site and tutorial! These will definitely help! And you can make them as big and wide as you want :). Thank you for stopping through!